"Continental Crowns And Closures" came into existence in the year 1978 under the Indian Partnership Act, 1932. Our product range encompasses all metal caps and closures like Drum Capseals, Printed Drum Capseals, Plain Drum Cap Seals, Lug Caps, Twist Off Lug Cap, RO Caps, Aluminium RO Caps, Mason Jar Lids, CT Caps, Press Fit Caps, ROPP Caps, Aluminium ROPP Cap, Crown Cap, Metal Crown Cap and any other metal cap as per specific requirements. Our products attract demand from both India and abroad. Some of the industries that bring our products into application are oil, chemical, food processing, liquor and pharmaceutical industries. The process of manufacturing of our products is carried out as per the specifications laid down by our clients so that they get maximum satisfaction from our produce. Our products are manufactured using high grade raw materials that are bought from tried and true vendors. At every step of manufacturing and before the final delivery of products to the clients, all our products are made to go through a rigorous process of quality check and testing. All these quality controls and checks ensure that our produce is of best quality, resistant to corrosion and does not leak. A major quality that our products offer is that they not only keep food products undamaged but also protect them from contamination by bacteria and germs. If tightly capped or sealed, they also help in preserve their aroma, flavour and freshness of the food. 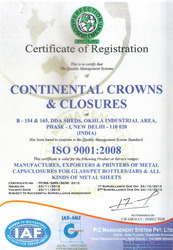 For all these reasons, our crowns and closures are exported to a number of other countries also. Our work space is spread over a huge land area. It is fully equipped with machines that use latest technology for the manufacture of our products. We also ensure that there is almost negligible manual contact of material. Our high-tech machines also promise best quality of our products and produce them in a short span of time. This helps us in catering to even the most immediate and bulk requirements of our clients. Besides this, our spacious warehouse has the capacity to store huge quantities of crowns and closures without any damage being caused to them. Also, our packaging section ensures that our products are packed in a manner that they are not damaged while being transported for delivery to our clients. Our wide variety of products is manufactured using raw material procured from trusted vendors. We also employ the latest technology for the manufacturing of our produce. For this purpose, we ensure that we are at par with the standards of the industry and there is a regular revision and improvement in the technology used for the process of production. Considering the specific requirements of our clients, we give them the option to customize the products as per their need. Whatever we make, we ensure that the quality parameters are strictly adhered to, and that our customers get the maximum satisfaction out of it. Our skilled team of employees from each department work in close co-ordination with each other thereby bringing synergies into the system. This ensures timely supplies, finest quality product, systematic storage of Raw material / Finished product & highest customer satisfaction. Due to the supreme quality of our products and prompt services, our products attract a high demand from a large number of well-known industries both in India and overseas. A complete check of our products on various parameters also ensures their high quality that raises their demand by our clients. A few of the industries we serve include oil, chemical, food processing, liquor and pharmaceutical industries. 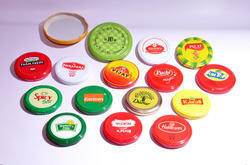 In the food processing industry, some of our esteemed clientele include Nilon's Enterprises Pvt. Ltd., Jalgaon Mida & Company Pvt. 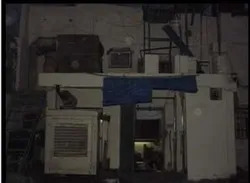 Ltd., Kolkata Mahaan Dairies Ltd., Delhi Gujarat Co-Operative Milk Marketing Federation Ltd. (Amul), Haldiram Foods International Ltd. (For Rasgolla), G. D. Foods (Mfg.) India Pvt. Ltd. (Tops), Shivambu International Himachal Pradesh, Allahabad Canning, Mapro Foods Kolkata, Maharashtra Agro Industries Ltd. (Noga), Dabur India Ltd., Girijan Co-operative Corporation Ltd., and Kashmir Apiares Pvt. Ltd.
Baidynath Ayurved Bhawan, Glaxo Smithline, Wings Pharma and Ozone Pharma are a few of our clients in the pharmaceutical industry. In the oil and chemical industry, our clientele include Indian Oil Corporation, India Glycols and Vam Organics. Our crowns and caps meet all the requirements of these industries and ensure that our clients get maximum satisfaction out of them.